With the overwhelming talks submitted for the CfP for foss.my, we've decided to extend the CfP by a few more days. October 15 2008 is now when the closing is. Some speakers have already been informed that their talks have been accepted. On October 15, we'll also announce whom they are. Have you registered? What are you waiting for? Wikipedia migrated from Red Hat Linux 9 (WTF??) and Fedora (certainly not a wise idea for a large deployment that doesn't want lots of moving parts) to Ubuntu. 4 weeks more before foss.my!!!. I love Fedora. I love CentOS. I love Python. And all its craziness! FOSS.my 2008 - Malaysia's Premier FOSS conference! For years the local FOSS community has been planning to host a FOSS conference in Malaysia. A real proper good one, by the technical people for the technical people. No marketing. Come 2008, interested parties have gathered together to make the dream a reality. Introducing FOSS.my 2008 (The World is Just Awesome), a 2 day FOSS Conference on Saturday 8th and Sunday 9th November. So make sure your weekend is free. APIIT has kindly sponsored their premises as the Venue for the event. At the moment we are polishing the website, but its completely usable, plus we are already taking in registration. Payment details are being finalized. At the moment the schedule is a bit empty, but which upcoming event isn’t? Maybe you can help fill it out for us as a speaker? We have a pending list of speakers we are contacting, but don’t be afraid to submit a topic. We have 26 slots to give up, so come one come all! Its been a while since i last post something in this blog. 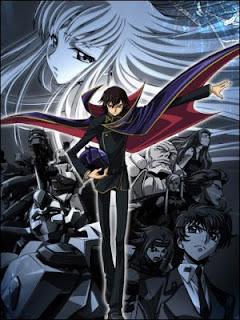 A bit of a change from the usual tech posts, an anime-related post - Code Geass's R2 final episode. Since Eureka Seven, its been a while that I last experienced withdrawal after a series. Throughout the 2 seasons, Code Geass have been a very enjoyable ride. The story are well written and well presented. The non-stop feeding of cliffhangers, the plot where good and evil are different based on perception, made it a very enjoyable and fun ride. Fact of life, everything has to end, Code Geass officially ended last week. Lelouch a.k.a Zero strategic mind, ideals and personality made it to the top of the my most-respected anime character list. And his final sacrifice .. is EPIC.